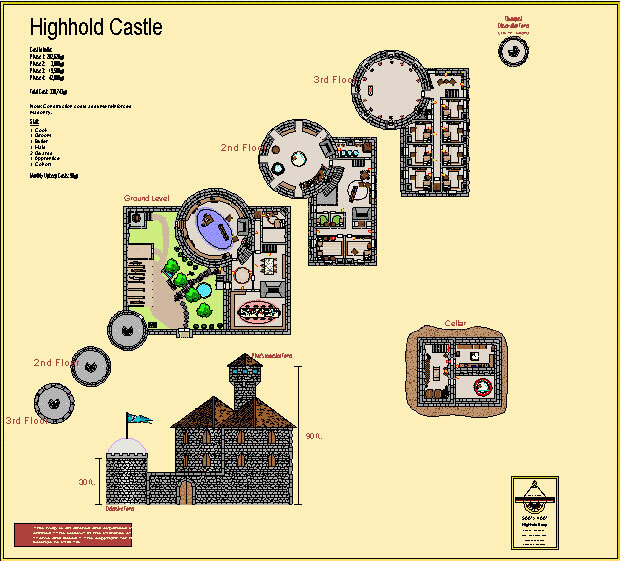 Highhold castle was derived in large part from the Wizard's Abode in Tome and Blood, published by Wizards of the Coast. They hold the copyright for that material. Any other portions of the castle not part of that original design are copyright to Tony Marker.